• Geometric shapes • Telling time • Counting money • Word problems • Understanding fractions and place values • Multiplication and division up to one hundred • And so much more! Skip to the pages that suit your child’s needs and learning style or start at the beginning and advance page by page—it’s up to you! As the workbook progresses, the problems become more challenging so that learners of all levels can enjoy an exciting, skill-building math adventure. 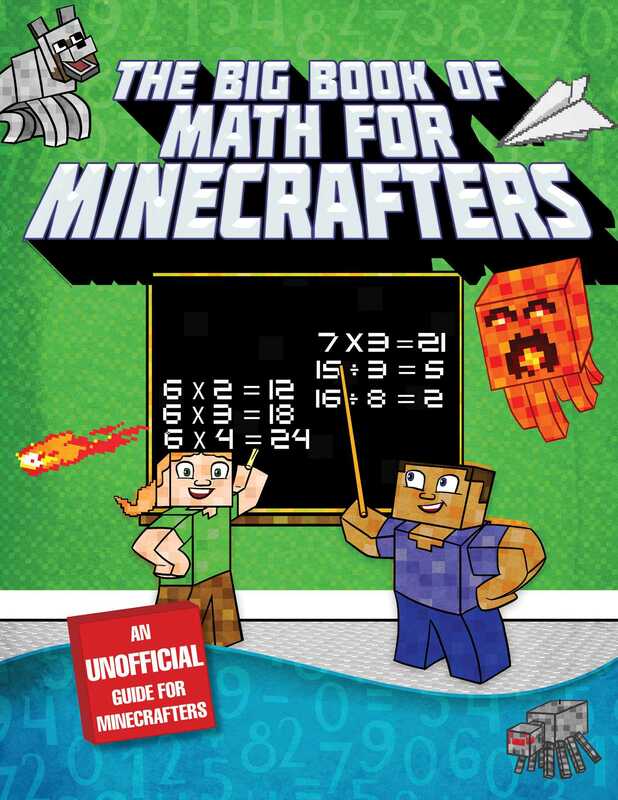 Containing Math for Minecrafters: Adventures in Addition & Subtraction, Math for Minecrafters: Adventures in Multiplication & Division, Math Facts for Minecrafters: Addition and Subtraction, Math Facts for Minecrafters: Multiplication and Division, Math for Minecrafters Word Problems: Grades 1-2, and Math for Minecrafters Word Problems: Grades 3-4, and perfect for Minecrafters who learn at all paces, The Big Book of Math for Minecrafters is as fun as it is educational. It's just what your little learner needs to get ahead academically!